Tabletopia Mobile (Beta) is accessible to players for free. You can download it from AppStore or Google Play. As we are currently in Beta, some Tabletopia functions are not available on Mobile app, but we aim to lift these restrictions in further updates. Three play modes are available – Solo, Hotseat and Online. Our Mobile Catalog currently features a dozen of games and it is growing gradually, as we are porting games suitable for the Pass & Play and Solo modes from our main 600+ titles catalog. Share unique activation codes with certain users for playtesting, demonstration, and promotion of games on tablets. Accessing Tabletopia game via code doesn’t require having a Tabletopia account. We can make your game visible in our public Mobile catalog (to do that, please send a request to: info@tabletopia.com). Currently we are developing functionality that will allow publishers to monetize their games as well as additional features for creating tutorials and interactive demonstrations within mobile setups. ** Beta version of mobile app has limited functionality when compared to Web or Steam versions of Tabletopia. This may have an effect on implementation, as some games may not be adapted fully for Mobile, while they could be easily implemented for PC version. Please refer to “Current restrictions of Tabletopia Mobile”. Tip: Any single setup can be enabled either for mobile or PC. If you need to have game playable on all platforms, make two setups – one for the Mobile and another one for PC. After mobile setup was published, it will become available in Mobile client. Tip: The game will still be accessible only to its author and the users personally invited by them. Please contact us, if you’d like to see your game in public catalog. Download and launch Tabletopia Mobile app. Choose “My Games” in the app’s side menu. If you haven’t logged in yet – enter your login and password. 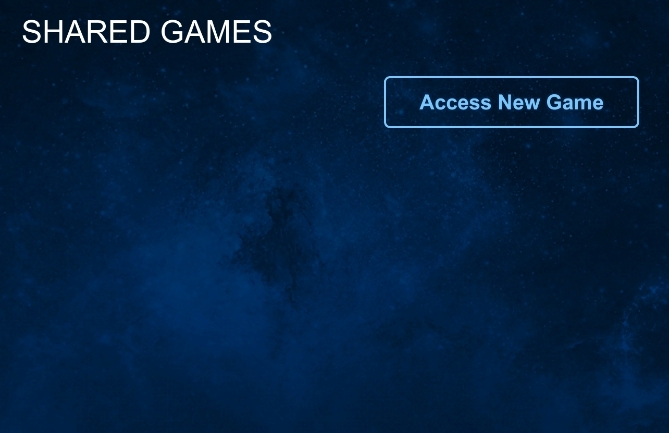 After logging in, open your game in “My Games” catalog and app will download it’s setups to your device. Tip: Game can’t be downloaded if one of it’s setups is currently publishing. Just wait a couple of minutes for publishing process to finish. Moving and rotating objects, creating additional copies of components and updating the settings should not increase publishing time. The publishing will finish almost instantly in that case. On the other hand, adding new objects and elements will increase publishing time up to a several minutes. Author of the game can share his game with unlimited number of Tabletopia Mobile players. Players can use access codes without creating an account on Tabletopia site. Open your mobile setup’s page in the Workshop. Copy the code that will appear in the textbox. You can share the code with any number of people, along with a link to the app. Tip: Each mobile setup needs to have distinct access code. If you need to share the game with multiple setups, provide your players with the codes for each setup. To change access code or just close access to the setup, use options in “Manage” menu on the setup’s page. Mind that changing the code will make previous code inactive. Enter the code into the textbox and press “Access Game” button. In case of an error, make sure you entered code correctly and that your device has active net connection. 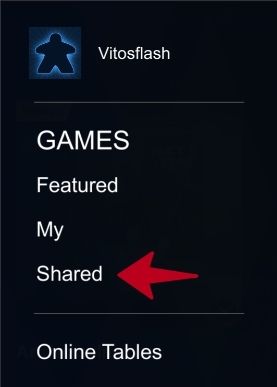 If code was accepted, you will be automatically redirected to “Shared Games” page. After first activation, all your shared games will be available from the side menu. Dependent on chosen setup settings, UI elements for passing game turns may be available or unavailable on screen. If the hand is activated in the settings, UI elements should always be visible to make the change of active player easier and show only his own hand of cards. If the hand function was disabled for the setup, turn-related UI elements will be shown only if players have different cameras assigned to their seats. Passing game turn to another player will change the position of the camera to one assigned to that player’s seat, which is useful for the games where players look on the board from different sides. Tip: When creating your own game, you can adjust object behaviours in the setup setting to turn different actions on and off. We strongly recommend to turn all unneded actions off. That way, side menu won’t be overloaded with options, which would make for more compact and usable UI. Number of selected items (when you’ve selected more than one). Number of objects in the stack (when stack of tokens or a deck of cards is selected). Number of objects in the bag (when a bag is selected). Action: Shuffle the selected stack. Action: Draw a card from the selected stack. Action. Deal one card to each player from the selected deck. Lock or Unlock an object. You cannot move locked objects until they are unlocked. This is useful to prevent accidental interactions during play. Current state of the object is shown on the icon. Enlarge an object. This is often used to read texts on cards. Counters and Picture Counters also have additional UI to change their state when enlarged. Flip an object. This depends on the particular object’s type. Rotate an object clockwise or counter-clockwise. Angle of rotation depends on particular object type. First rotation aligns object in relation to the camera angle. Turn a dice to the next number. Play or Pause a music from the selected Music Disc. Conceal or Open Hidden Area to other players. Icon shows current state of selected Hidden Area. Adjust the selected Counter. You can either reset, increase or decrease the value. Next to buttons you’ll see how the value has changed since the last selection. Select or deselect all objects in the hand. These action are available when selecting or deselecting particular objects in the player’s hand.